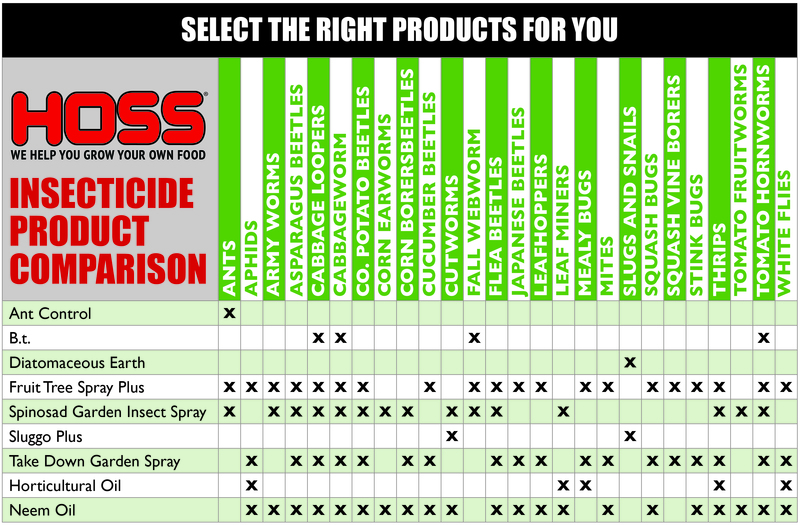 Sluggo Plus is a pelleted formulation that kills earwigs, cutworm, sowbugs, pillbugs, crickets, slugs and snails. Contains spinosad which is derived from a naturally-occurring soil dwelling bacterium. OMRI listed for organic use. Sluggo Plus is an easy-to-use pelleted molluscicide that contains iron phosphate and spinosad, which is derived from a naturally-occuring soil dwelling bacterium. Sluggo Plus can be used around vegetables, fruit trees, citrus, berries, ornamentals, shrubs, flowers, lawns, gardens and in greenhouses to control earwigs, cutworm, sowbugs, pillbugs, crickets, slugs and snails. Scatter the bait granules on the soil around or near the plants to be protected with a suitable hand or power operated spreader (gravity or rotary) to ensure uniform coverage over the treatment area. Apply bait evenly at approximately 0.5 to 1 lb. per 1,000 square feet, or for smaller areas, 0.075 to 0.15 oz., or 0.5 to 1 teaspoon, per square yard. Do not place in piles. Scatter the bait around the perimeter of the area to provide a protective “barrier” for pests entering the area. If the ground is dry, wet it before applying bait. The product works best when soil is moist but with little or no standing water. Do not use food utensils such as tablespoons, cups, etc. for food purposes after pesticide use. Do not apply more than 3 times in any 30 day period. Apply at the higher rate if the infestation is severe. Re-apply after heavy rain or watering. Do not apply within 3 days of harvest. For seedlings, spread the bait around the base of the stem. For trees or shrubs, spread the bait around the base of the tree. For small plots, treat around the base of the plants to be protected. In greenhouses, scatter the bait in the pots of plants being damaged or around pots on greenhouse benches. Evening is the best time to apply the bait as pests travel and feed mostly by night or early morning. Treat all likely areas of infestation, especially around the perimeter of garden plots for target pests because pests travel into plant areas from daytime refuges. Slugs & snails favor damp places around vegetable plants such as beans, tomatoes, lettuce, cabbage, celery and squash. Other favorite areas are flower gardens, rockeries, hedges, dichondra, lawns, ivy patches, and other ground cover where they obtain shelter by day.